Matt Glantz opened for 4,000 from early position and received a call from Joe Serock in the cutoff. Malgin Roman then moved all in for 38,200 from the small blind, Glantz folded, and Serock made the call. According to the PokerNews Odds Calculator, Serock was a 67.67% favorite to win the hand, which didn't even take into account the fact that Glantz had folded . That meant Roman was drawing particularly thin. "If I call, you don't call?" Glantz asked Serock, who responded that he wouldn't have. The board ended up running out and Serock won with eight full. Had it been the other way around, Glantz still would have won, so Roman was doomed either way. 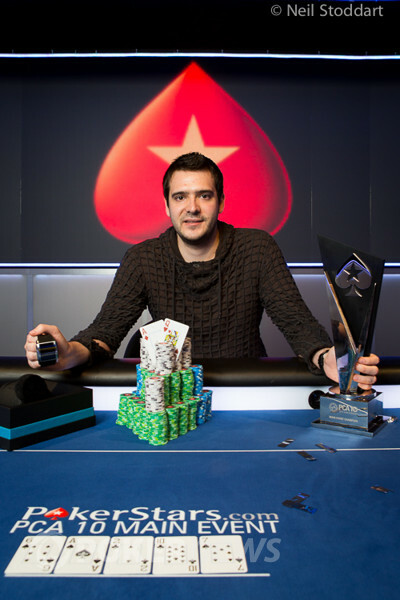 Congratulations to Dimitar Danchev, Winner of the 2013 PokerStars Caribbean Adventure Main Event ($1,859,000)!